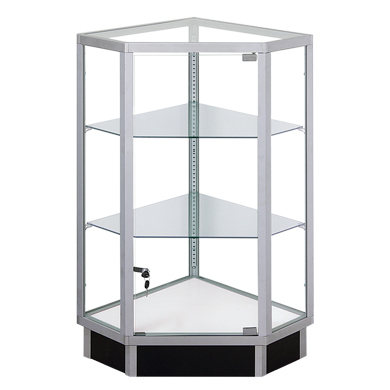 Metal framed extra vision showcases have a durable melamine laminate exterior finish and tempered glass top, front, and sides. 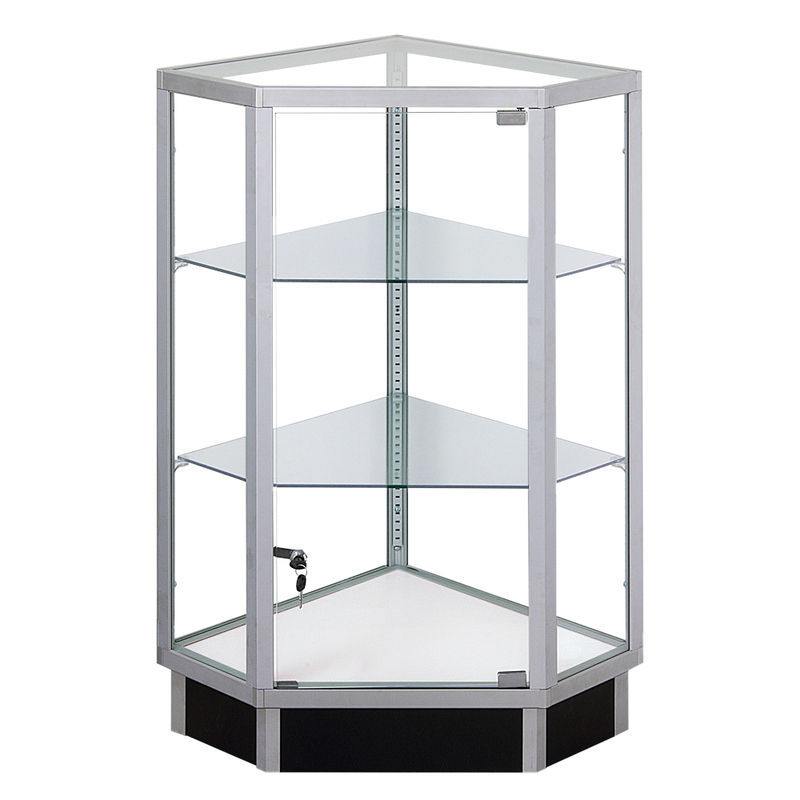 Outside Corner Showcase has stain finished clear anodized aluminum frame extrusion. Black toe kick is 6 in. H and showcase has a white interior. Front locking door, chrome finished standards and brackets. Showcase has two rows of adjustable 3/16 in. glass shelves. Add lights to your showcase, search showcase lights or call and we can install them for you! Ships unassembled to save you on freight charges or we can assemble for you for an additional $75.00 per unit. Add item #1133 to your cart to have this item assembled.